Lien Chieh Machinery (LCM) Hydraulic System provides the highest quality precise Shipyard Press in the world. All our products are designed and made with latest technology both pass through with international quality standards ISO 9001. Shipyard Press which is LCM exclusive customizes machinery that currently installed at Hitachi Shipyard in Japan. Our Ship yard can be availed in capacities about 3000 Ton Traveling Ram, which realizes security and stability and improve operational efficiency. Lien Chieh Machinery (LCM)’s main area of expertise is Hydraulic Press Machinery. 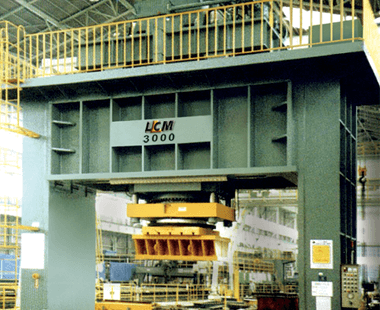 During our more than thirty years of experience, LCM has performed demanding works, including: Hot Forging Press, Forming Press, Metal Forming Press, High Speed Press, and Mechanical Press. If you need Shipyard Press or any about Press Machine, just contact our sales department or browse our website catalog that you can get more detail.